An oasis in Richmond’s City Centre, Minoru Park is home to a wide range of recreational and cultural facilities. 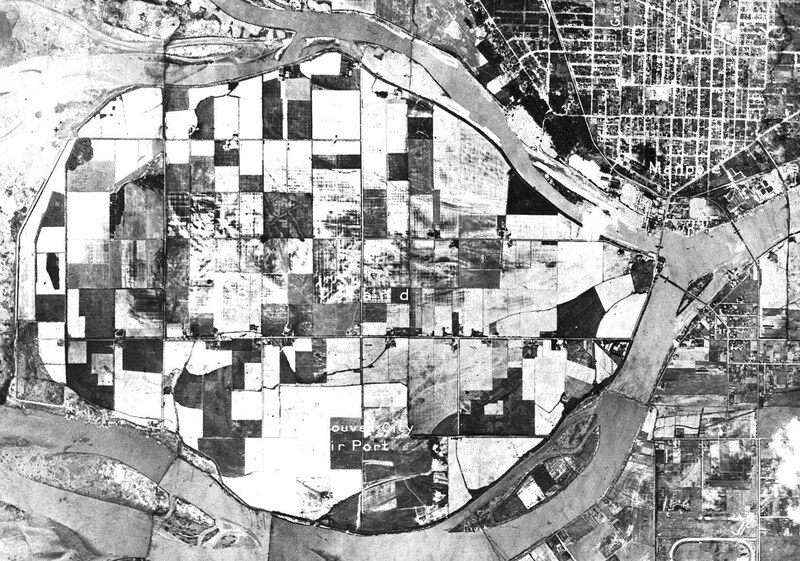 Areas set up for a variety of field sports, a walking and running track, ice rinks and swimming pools, as well as museums, a library, archives, spaces for arts and crafts, senior’s facilities, etc. make the park a popular and well used part of life in our city. 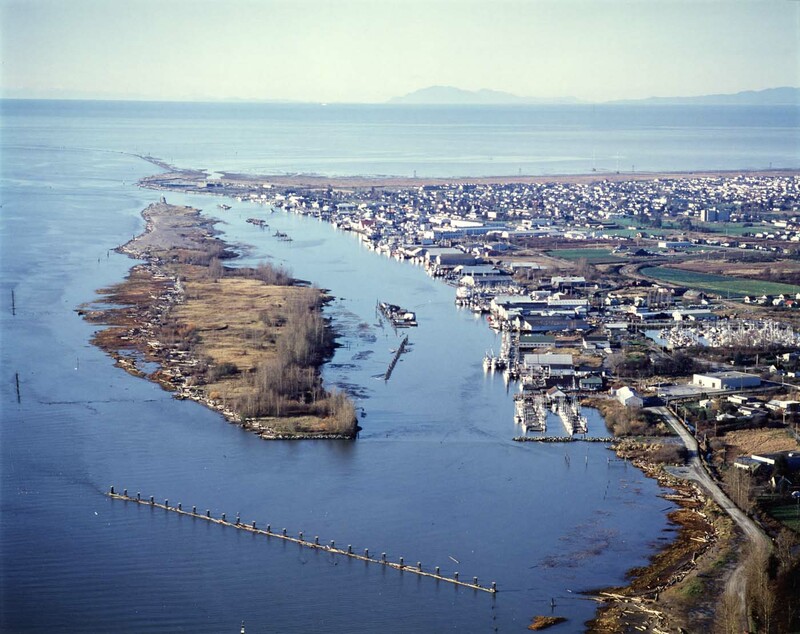 With the Japanese origin of the name Minoru, one might think that it connects to Richmond’s history of Japanese immigration, but in fact, the name comes to us from across the Atlantic Ocean. Between 1906 and 1910, Colonel William Hall Walker, a wealthy Scotsman, was having a Japanese garden built at his estate, the Tully Stud near Kildare in Ireland. The gardens were laid out and built by Japanese master gardener Tassa Eida, who did such a magnificent job that the gardens remain a popular tourist attraction today. A successful breeder of race horses, Walker named one of his colts Minoru after the son of his gardener. In 1907, Col. Walker leased a half-dozen yearlings to King Edward VII, including Minoru. The horse Minoru had a profitable career in the King’s colours, winning at Epsom as a two-year-old and, ridden by jockey Bertie Jones, winning the Greenham Stakes and the 2000 Guineas as a three-year-old. His greatest triumph was in winning the 1909 Epsom Derby for the King, the first time a reigning monarch had won the coveted prize. The horse came in fourth at the Doncaster St.Leger Stakes, missing a chance to win the British Triple Crown. Two more wins that year finished his year with five wins in seven starts. 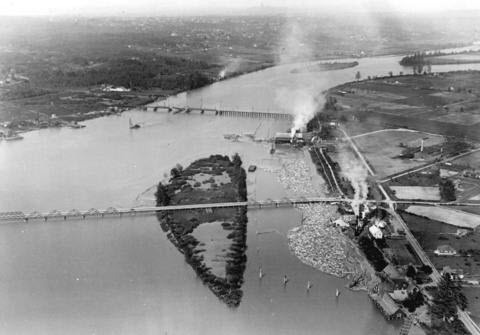 In Richmond in 1909 a group of businessmen, Messrs. H. & T. Springer, Suckling, Lewis and Marpole, were building the Township’s first thoroughbred horseracing track on land they had purchased from Samuel Brighouse. 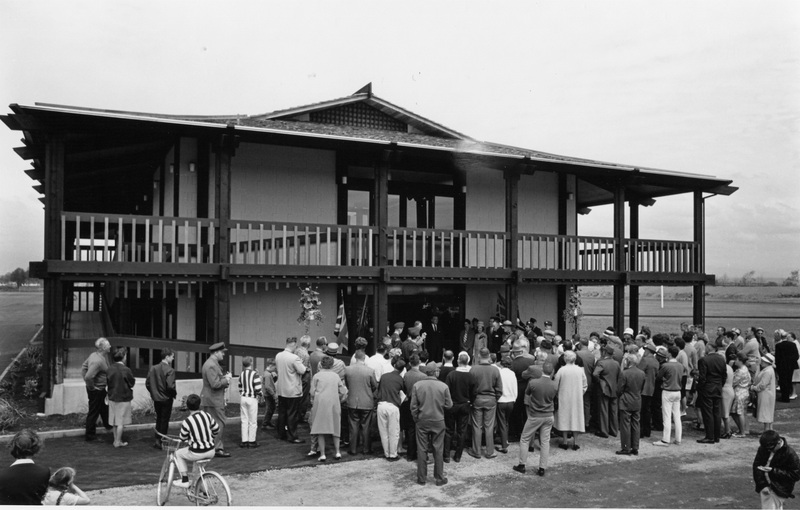 In 90 days a mile-long oval, a grandstand, a clubhouse and a mile of barns were built at a cost of $75,000. In choosing a name for the track, they settled on the name of the horse that had just won the Derby for the King and Minoru Park Racetrack was born. 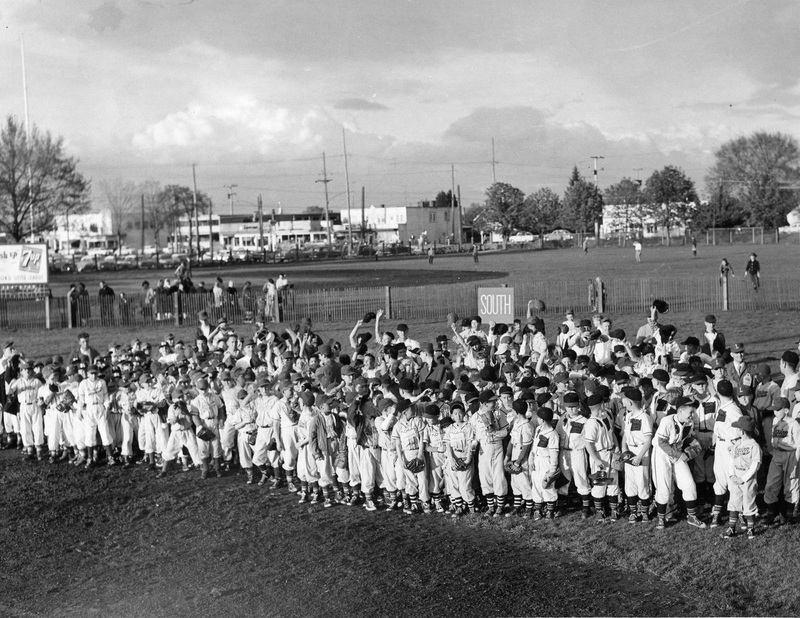 Opening day at Minoru Park was attended by 7000 race fans. The track was used for many events in addition to horse racing. 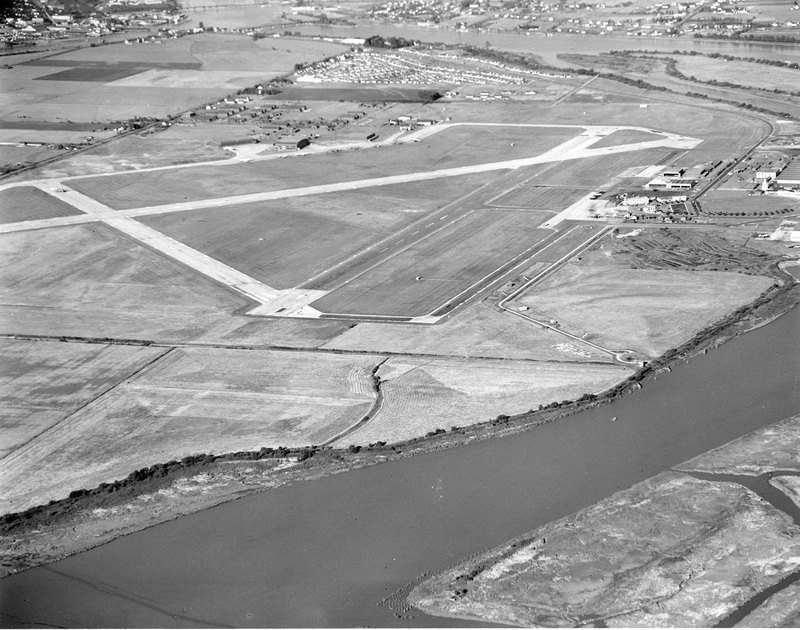 Minoru Park was used as a landing strip for aircraft, and was the location of the first flight by an airplane in Western Canada on March 25, 1910, the starting point for the first flight across the Rocky Mountains and the venue for air shows hosted by the Aerial League of Canada. Automobile racing exhibitions were also held at the track, hosting well-known drivers like Barney Oldfield, Bob Burman and “Terrible” Teddy Tetzlaff and cars like the famous “Blitzen Benz” and the “Romano Special”. Polo matches were held in the middle of the track, temporary boxing rings were set up for fans of the pugilistic arts and community events, such as May Day celebrations, were held there as well. With the outbreak of World War I in 1914, Minoru Park closed until 1920 when it reopened and was renamed Brighouse Park. Brighouse Park Racetrack operated until 1941 when it closed for racing permanently, although it continued to be used as a training and boarding facility. 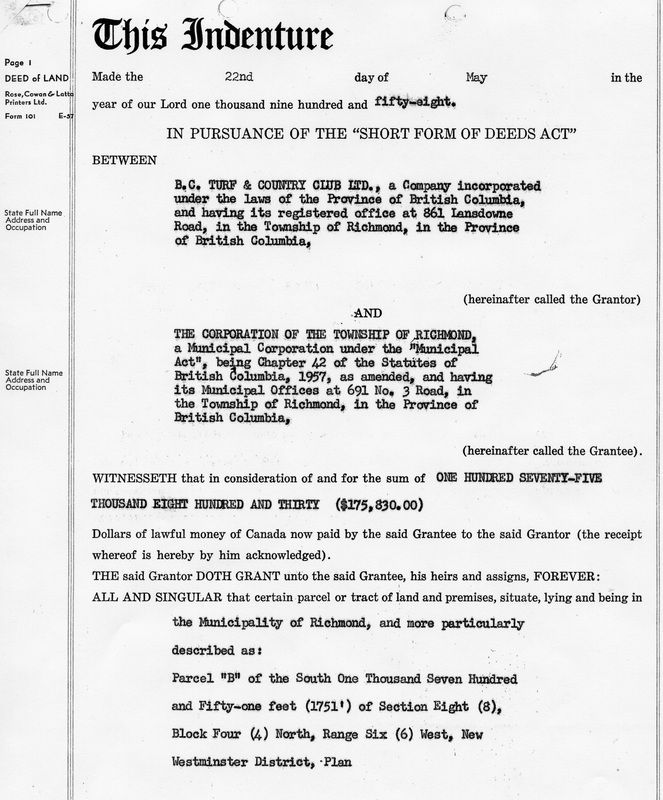 The land was purchased by the British Columbia Turf and Country Club in 1945 and in 1958 the Municipality of Richmond purchased the property. 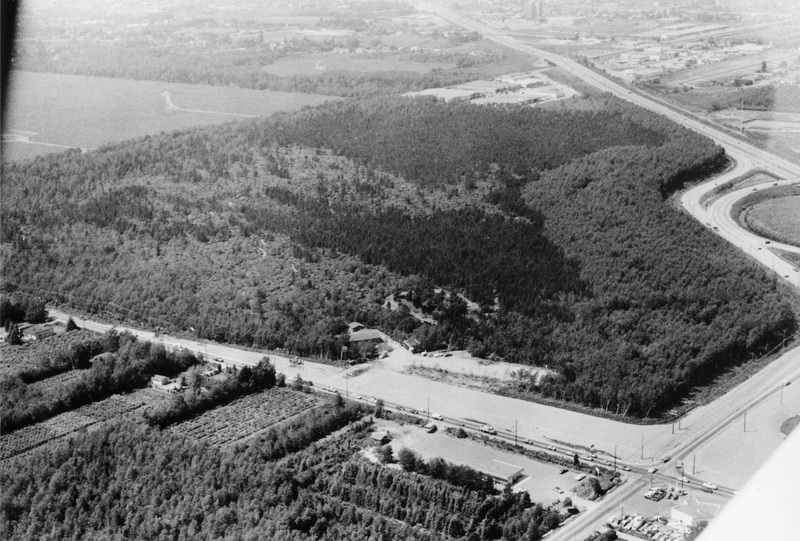 The park reclaimed the name Minoru in 1960 to honour the long history of horse racing at the site. 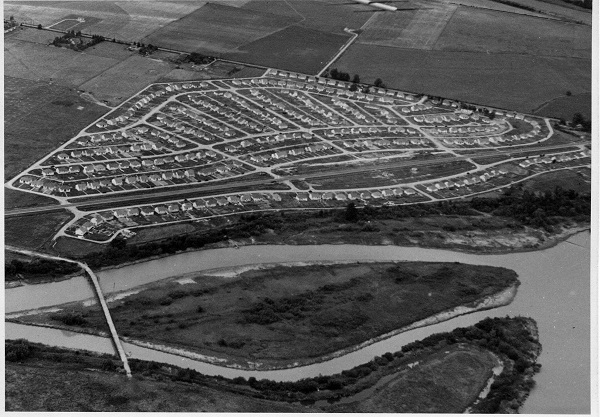 In 1962 the Mayor and Council purchased the Brighouse Estate, allowing the park to expand to its present size and develop into today’s complex of recreational parkland, buildings and services, a complex which is presently being upgraded with the construction of a new aquatic centre, sports facility and seniors facility. Minoru the racehorse was retired to the Tully Stud in 1910 and in 1913 was sold to a Russian stud farm. The horse’s history after that is lost in the chaos of the Russian Revolution, although stories are told of Minoru being shot by an English officer to prevent him being abused by the Bolsheviks, or of a possible escape across Ukraine and Russia to the Black Sea and by ship to Turkey. In 2009, in commemoration of the 100th Anniversary of the opening of Minoru Park, a bronze statue of Minoru was unveiled near the Richmond Cultural Centre. Created by artist Sergei Traschenko and donated to the City of Richmond by the Mila & Maureen Ilich Foundation, the statue was dedicated to the winning spirit of Richmond’s early pioneers of both Eastern and Western cultures and the men and women of the early thoroughbred racing industry in Richmond. The unveiling event was attended by many citizens and dignitaries, including Brian Eida, the son of Minoru (Jack) Eida who gave his name to a horse, which gave its name to a racetrack, which gave its name to a park. 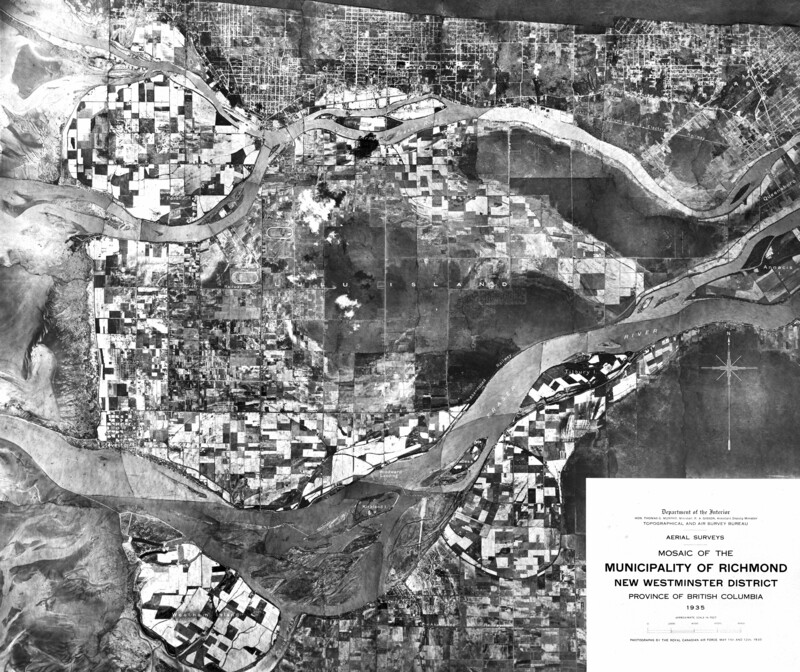 The establishment of a Recreation Commission in 1954 and the subsequent incorporation of parks and recreation services into the administrative structure of municipal government under the direction of the Parks and Recreation Commission resulted in the rapid growth of recreational land, facilities, and services in Richmond. Prior to the establishment of the Commission, just over 20 acres of land in the municipality was parkland, much of which was maintained by local community associations and groups. 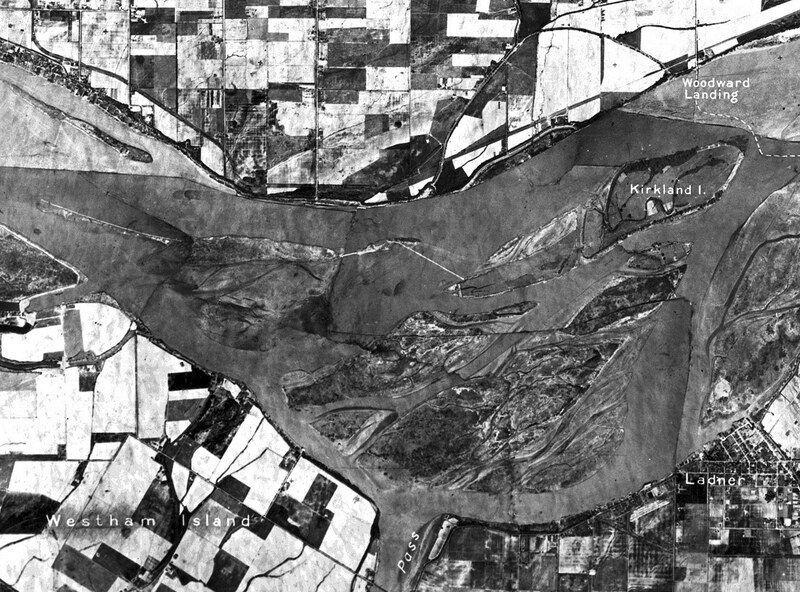 The Parks and Recreation Commission was initially established composed of elected members of both Council and School Board, which allowed for the coordinated development of school playing fields and municipal parks, simplified the planning of their locations, and reduced duplication of services. 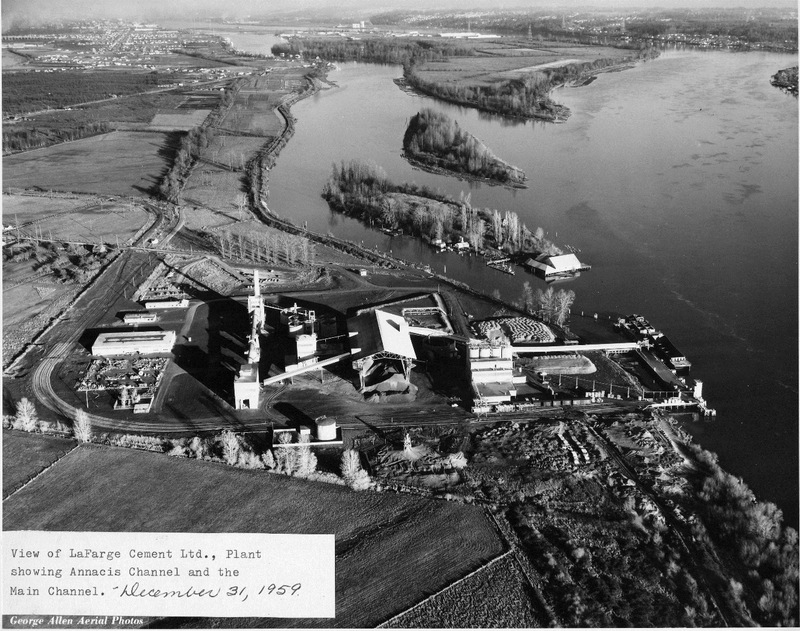 In 1958, major plans and projects came to fruition under the direction of the Commission, the most significant being the purchase of land from BC Turf and Country Club, the owners of the Brighouse Park Race Track. 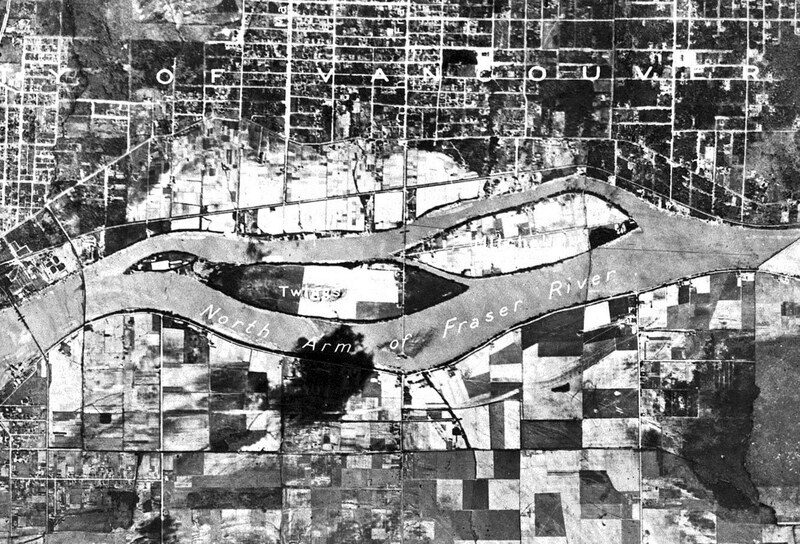 That land, first known as Centennial Park, is the southern part of what is now Minoru Park. 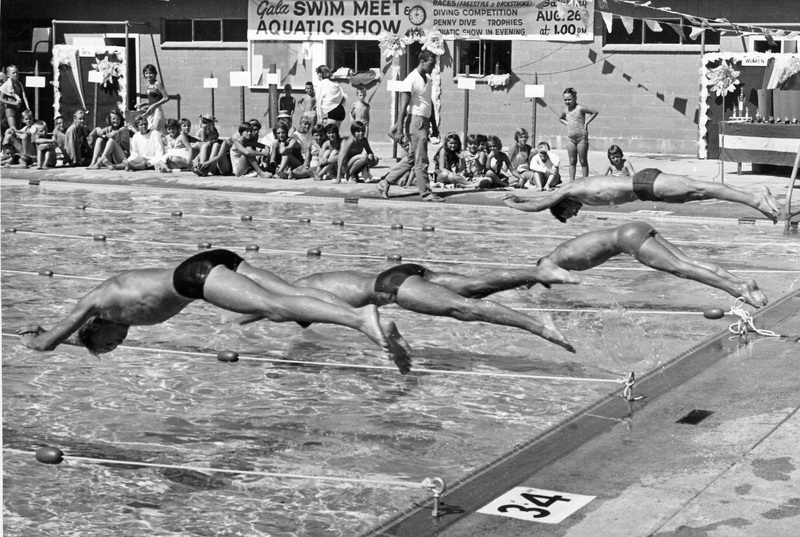 By 1959, Centennial Pool, Richmond’s first swimming pool, had been opened on the site. Development there continued through the 1960s with the installation of a track, the building of a pavilion, arena, arts centre and library. 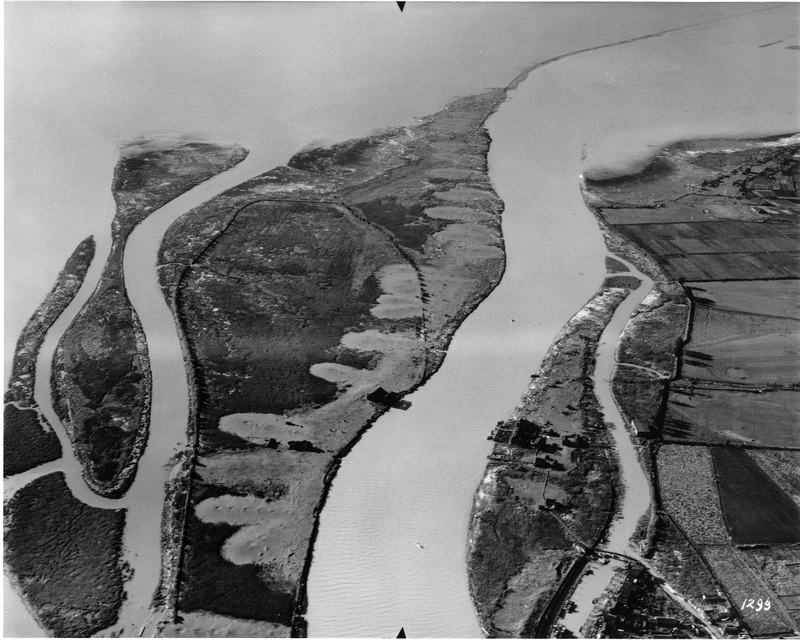 In 1970, the municipality acquired 217 acres for the Richmond Nature Park as the first of many new parks and community centre projects in that decade. 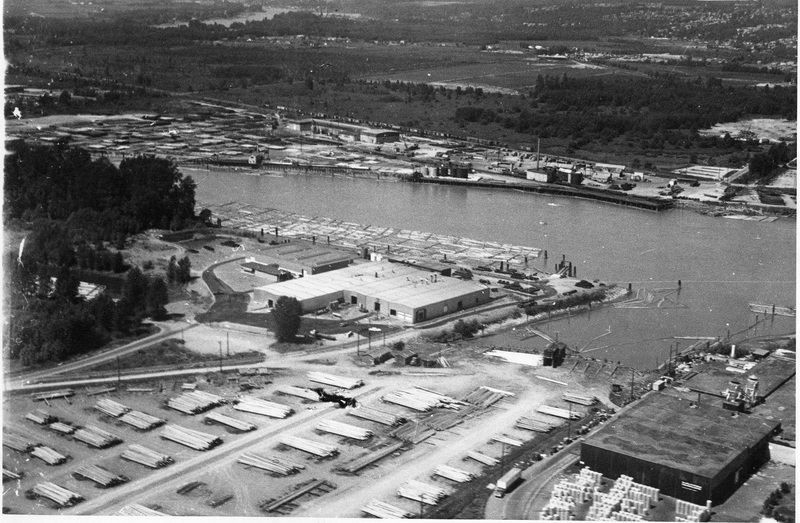 The City of Richmond Archives holds records documenting the growth of recreational opportunities in Richmond, including minutes of the Parks and Recreation Commission, bylaws and bylaw files relating to park acquisition and the building and maintenance of facilities, administrative and operational records of the early Recreation Department and the later Leisure Services Department, records of the Richmond School Board, and records of community associations and cultural and sports groups affiliated with the Commission.